Re-live the madness of Madness! 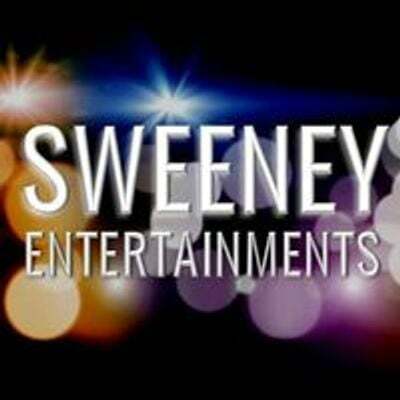 A sensational Theatre extravaganza featuring the amazing talents of this 5-piece band who will take you on a musical journey through the story of one of Britain's most memorable,visual and fun bands. 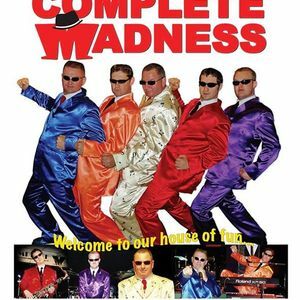 Complete with crazy costumes, comedy and chirpy banter, Complete Madness invite you to their 'House of Fun'. 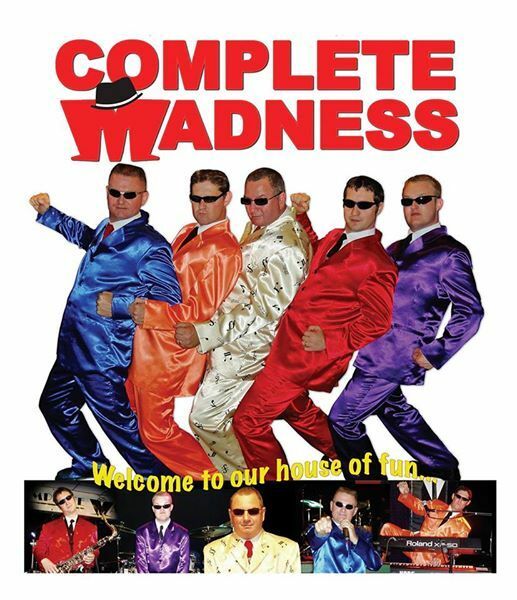 Featuring all the favourites... Baggy Trousers, One step Beyond, It Must Be Love, Driving In My Car.....This Highly visual and energetic show is a riot from beginning to end.